Over the past month I have found myself obsessed with two new comic book series that I'd like to recommend. "SAGA writer BRIAN K. VAUGHAN launches a brand-new ONGOING SERIES with superstar Wonder Woman artist CLIFF CHIANG! 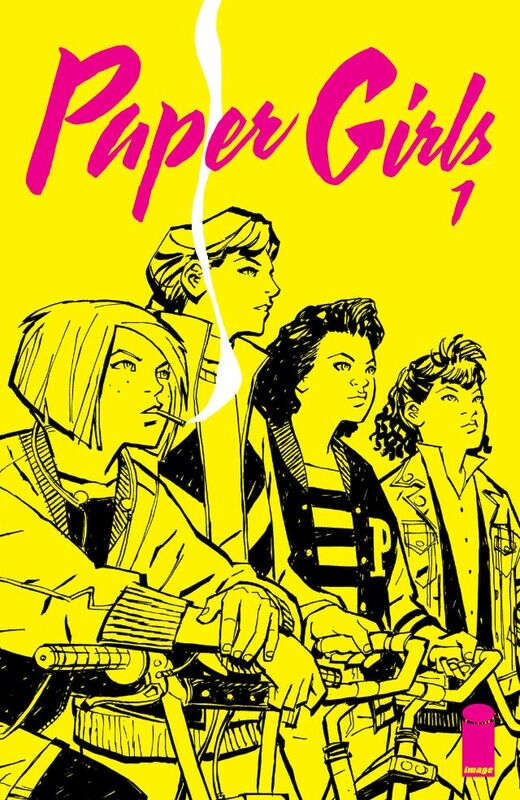 In the early hours after Halloween of 1988, four 12-year-old newspaper delivery girls uncover the most important story of all time. Stand By Me meets War of the Worlds in this mysterious young adult adventure." When I first started issue 1, I instantly liked the comic - the time period, art style, writing. It wasn't until the end of the issue that I got hooked though. Things happen, hints are given, characters are introduced - all to set up the main story arc. That was it, I had to keep reading. I've devoured the first 4 issues. So far, I'm completely loving this series. "Josie Schuller is a picture-perfect homemaker, wife, and mother-but she's also a ruthless, efficient killer! She's balanced cheerful domestic bliss with coldly performed assassinations, but when Josie finds herself in the crosshairs, her American Dream life is in danger! " As soon as I saw the cover of this trade I knew I wanted to read it. 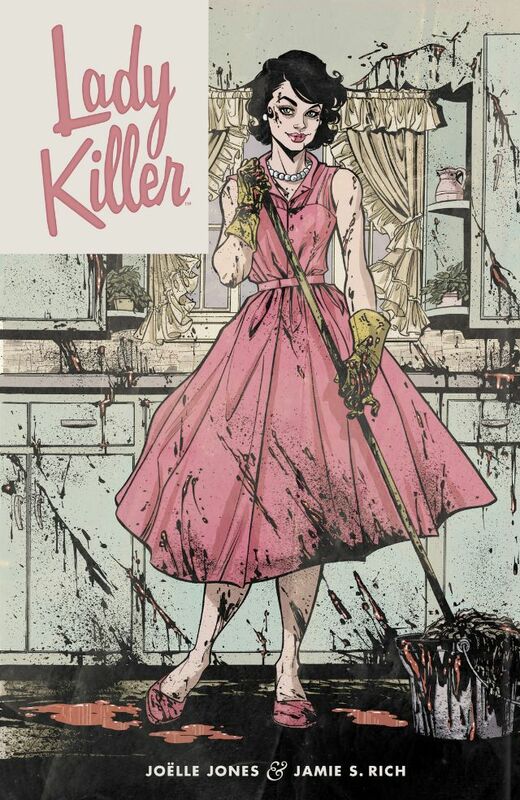 It's such a great combination - a 50's housewife who's a trained assassin. It didn't take me long to get through all 5 issues and I really wish there were more. Josie is such a badass and I found myself just loving all the outfits, settings, and all the little details that made the story come to life. I'm currently reading through some trades that I found at a good price - Catwoman and Birds of Prey. What are you reading? I'm super excited for paper girls but I'm waiting on the trade. I missed the first issue when I was away and well...my pull is a bit out of hand right now. Haha. I look forward to picking up the trade though.